Bumper Repair – scuffs, dents or cracks magically disappear! Problem with bumper scuffs and dents? Let us fix it for you! 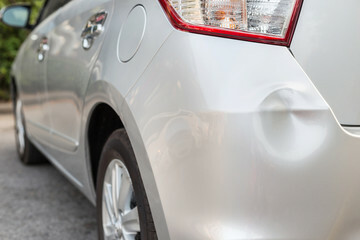 We provide a professional bumper repair service for any type of bumpers, either textured or painted. Don’t let an unsightly damaged bumper spoil the look of your car or lessen it’s resale value – come to us for an affordable bumper repair. Our new, fully equipped workshop in Boughton, Nottinhamshire is ready to fix your damaged bumper and bring your car back to tip top condition. Whether you are getting ready to sell your car and don’t want to put buyers off, or give them an excuse to offer you less money, or you just want your pride and joy repaired after a minor altercation, we can help. Don’t replace your bumper – repair it! Many people think that when a car’s bumper is damaged – no matter how minor – it’s better to replace it. This is just not true! It’s far easier and more cost effective to have a professional bumper repair than you think. Even cracks can be fixed as good as new in our state of the art workshop. No matter what type of bumper you have, painted or textured, we can repair it. Painted bumpers will be carefully colour matched in our paint workshop, and you will never be able to tell where the damage was when we have completed our work. We have extensive manufacturers colour code specification to work to and our paint technicians are expert colour mixers and matchers, even metallics are not a problem. Most bumper repairs can be done in a day. We will agree a cost and arrange a day for you to leave your vehicle with us. In most cases you will be able to collect your vehicle at the end of the day and drive away with out any hassle or delay. We will always keep you informed of your car’s progress and we rarely take longer than originally stated. So bring your plastic or painted bumper repairs to The Chip Wizard – you won’t be disappointed with our service or our prices!